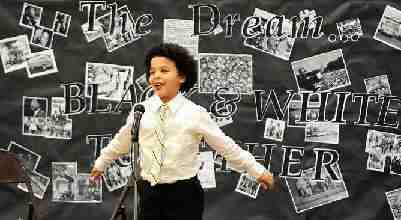 ArtReach's Musical Play, We Are the Dream, is a celebration of Martin Luther King's life and all that he gave us! "We Are The Dream touched this community like no other event Ive been part of. UNBELIEVABLE!" "What a great compilation of music!" 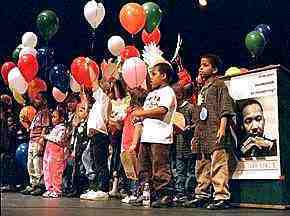 ArtReach's musical children's play, We Are The Dream weaves soulful spirituals, gospel music, turbulent history and meaningful audience participation into an event of powerful emotional impact. Songs may be sung by a choir, students and audience, lending great spiritual depth to this American story of hope, courage and triumph. 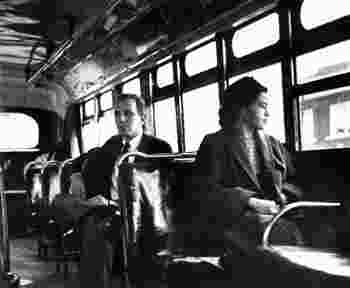 Includes the Inspiring Stories of: Rosa Parks, Vivian Jones, and other Courageous Pioneers of the American Civil Rights Movement. 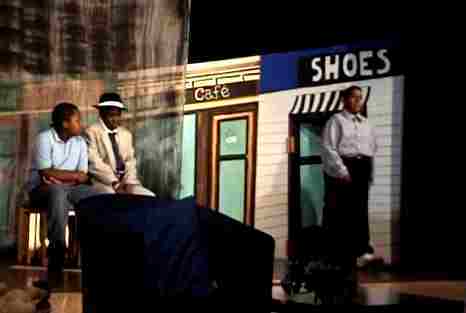 "Many people tell me that "We Are the Dream" is the best play they've ever seen at their school. 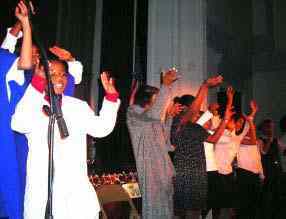 I had as few as 16 students in one production, and as many as 42 in another. It's a great show. Thank you!" 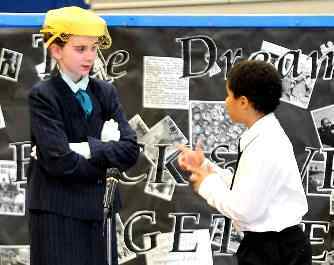 "Our Production of We Are the Dream was quite successful. The editor of the Arts section of the Providence Journal gave it a "Best Bets"! 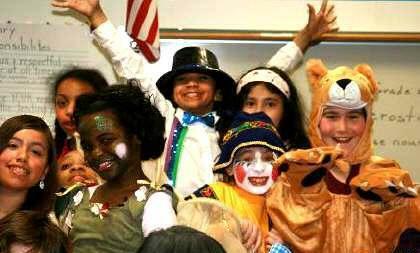 "Martin would be proud of me..."
This ArtReach School Play, offers positive examples for all children! 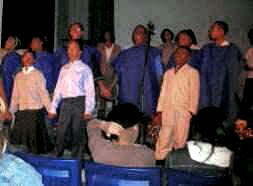 Especially powerful in churches when performers of all ages join the cast and perform together. 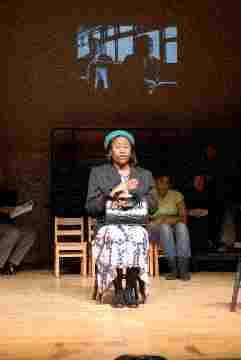 "We are the Dream also featured the story of Rosa Parks, the seamstress who refused to give up her seat on a bus to a white man." Easy costumes and scenery: Many suggestions on how to create or find what you need to make a great looking production without breaking your budget! "I recently purchased the We Are the Dream Play Package. You are a genius and a Godsend to a company like ours! Thanks so much for your brilliant work!" 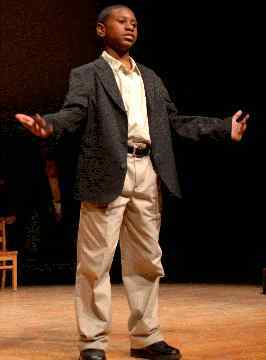 We Are the Dream is a Perfect Play for Martin Luther King Day and Black History Month! 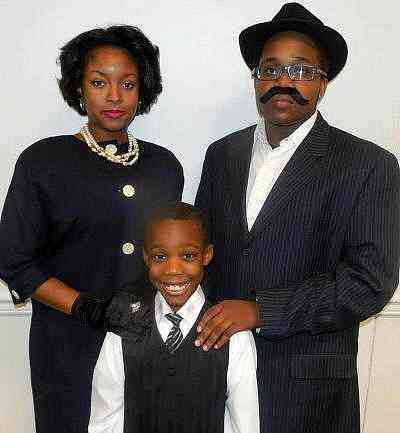 A Musical Play to Celebrate the Life of Martin Luther King! "It's for all of us... We are the dream." Teachers and Fellowship Leaders, this is what you are looking for! 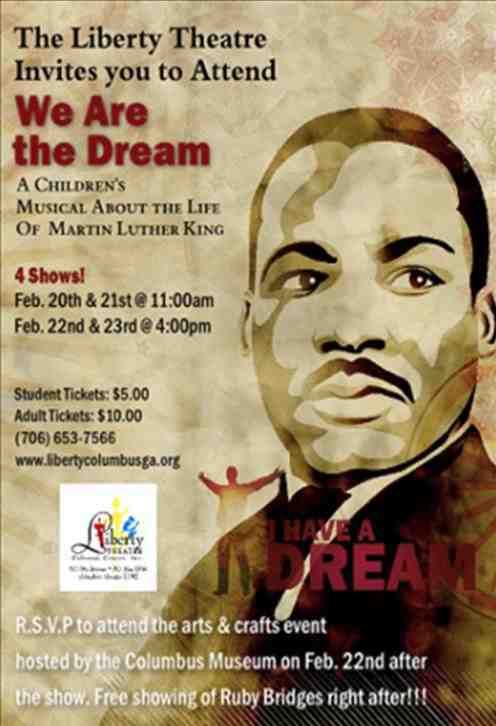 A great play for kids to perform -- the story of Martin Luther King Jr's life written just for schools and churches! A Celebration of King's Gift to Us All! "This show is not about rehearsal, not about perfection. It's about faith and love and the message of Dr. King. This dream is for all of us. We are the dream." 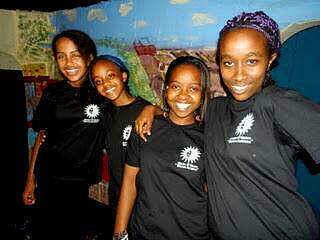 Recent Peformance in Nairobi, Africa! how to get the key messages across. It was absolutely fantastic!" 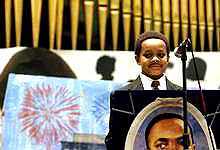 We Are Martin Luther King's Dream! As the Play Begins... The year is 1968. In a classroom in the rural South, children prepare for a visit from Civil Rights Leader Martin Luther King Jr.
Little do they know that by week's end the hero they have so admired will be gone forever. 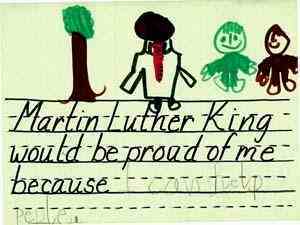 The Dream Lives On In Our Children! 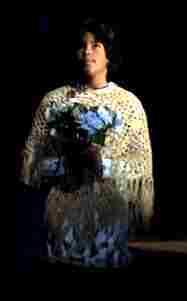 "The premiere of a revolutionary play went down like a dream with its audience last week. 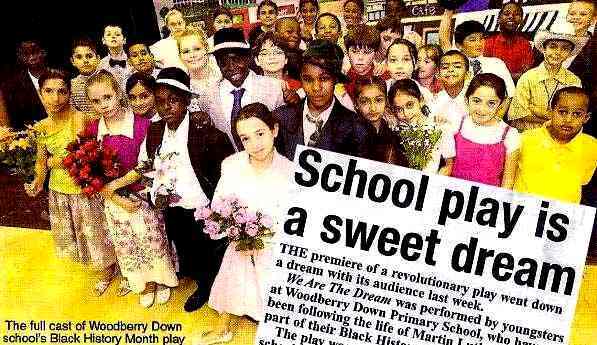 We are the Dream was performed by youngsters at Woodberry Down Primary School." Kid-Friendly Play Brings History to Life! "With all that has happened in our recent history -- We Are the Dream becomes even more meaningful for my students." Great Songs for Your Choir! Children & Families Participate! 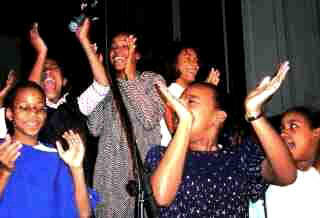 A Joyous Experience for Young People! 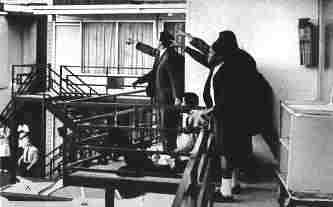 "I have directed your "We Are the Dream" three times and every time we do it, the teachers are in tears." Let Your Kids Live the Dream! 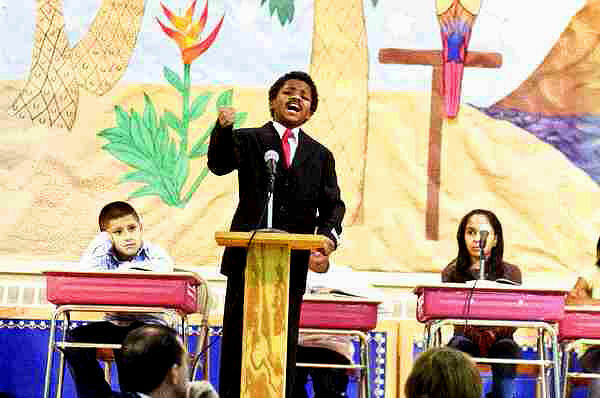 A Student Performs MLK's Dream Speech! 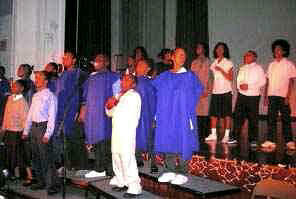 Excellent for Church & Community Performances! The dream lives on, in the hearts and souls of every person on this Earth who believes in freedom - men, women, boys and girls, people in every land...brothers and sisters all. 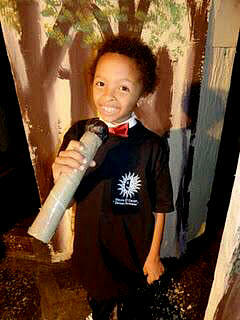 Appropriate Dialogue for Children: Speeches and vocabulary are appropriate for child performers ages 6 - 12. A Flexible Cast of 25 or more children: (Doubling and extras possible.) Every role has a name and at least three spoken lines. 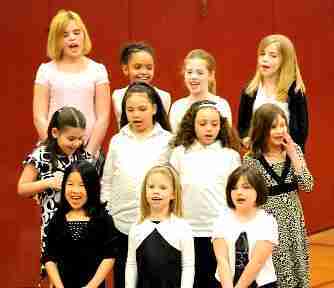 You may also mix up generations, have everyone at your school or church perform! About 40-45 minutes long: Long enough to be a substantial project and short enough to accommodate your teaching schedule. 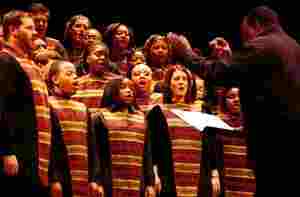 Great for Church Choirs, Schools Choirs! 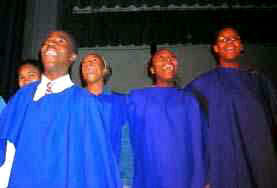 You can use the plays suggested in the script or replace with songs your choir already knows!